Decades of experience and development has resulted in an almost perfect electronic shelf label. These ESL’s are the only ones on the market that use optical data transfer technology. The correct price — Automatic price updates straight from the cashier system to the ESL tags guarantee that the prices are always correct. Time — Save time and money when employees don’t have to constantly print out paper shelf labels. Environment — With electronic shelf labels there is no need to print out paper labels. An environment friendly solution. Energy saver — The battery of the shelf labels have a 7 year guarantee, which guarantees the longest lasting battery life on the market. Click & Collect -collecting app — Helps staff to collect products quickly from the store and storage. The app can be integrated to an existing collection system. Shopper Guidance — Customer guidance inside a store with his/her own smartphone. The same technology can be used for targeted advertising and shopping behavior tracking. IR and not the congested RF! — ESL’s use reliable infrared technology, which is not prone to congestion like competitors’ labels that use radio frequencies. IR technology also enables accurate indoor locating. Read more! 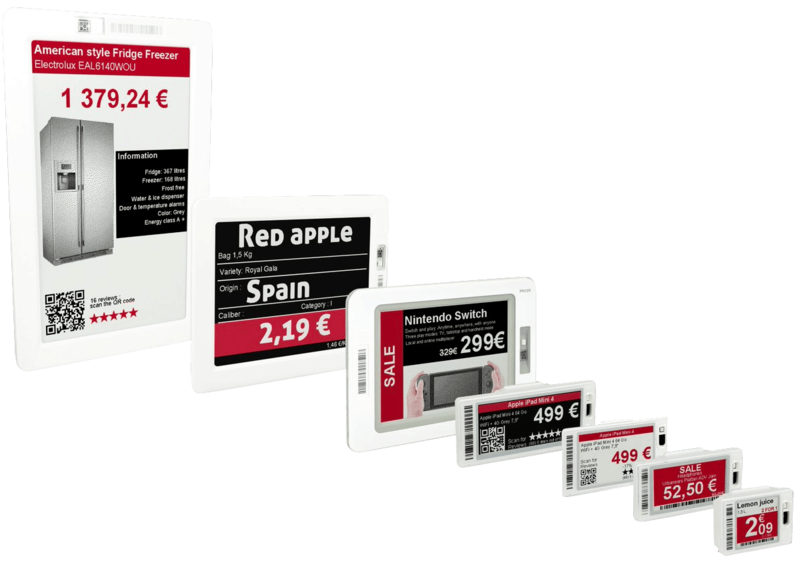 Full integration — The ESL system can be fully integrated to the SeeSignage-application which enables easy Digital Signage management and fully automated price imports.